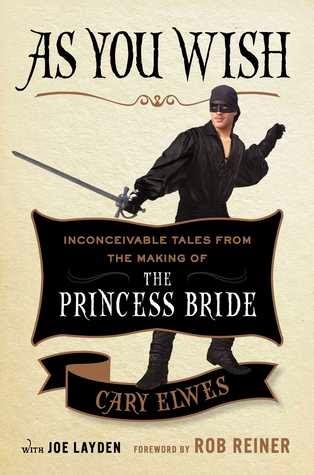 I'm enjoying "As You Wish: Inconceivable Tales from the Making of the Princess Bridge" by Wesley himself, Cary Elwes on ebook (thanks to publisher Simon & Schuster for the e-ARC to review for the Muckraker!). 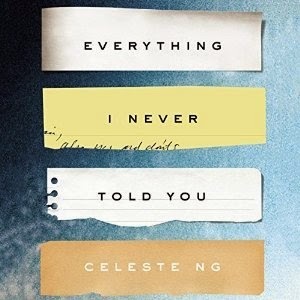 I have just 25 minutes left on the audio of "Everything I Never Told You" by Celeste Ng, and am (still!) alternating between the last hundred pages each of "Colorless Tsukuru Tazaki and His Years of Pilgrimage" and "The Secret Wisdom of the Earth." The use of language is so wonderful in both that I don't want to rush to finish either. After tweeting earlier this week about how sad I would be if there wasn't a book store in all of the Bronx, I was pleased to see this morning that the Barnes & Noble there was able to renew its lease for two more years. The Atlantic looks into data from Facebook on favorite books from around the world. I'm not a big horror reader, so the lists of scary books to read during October are mostly a miss for me. Book Riot took a cool approach, though, and suggested four books that take place in the afterlife that added a few titles to my TBR list. The New Yorker published a piece on "A Canticle for Leibowitz" providing some context about the novel & author Walter M. Miller, Jr. that I appreciated. Speaking of the lives of SciFi authors, the Tor.com blog featured a lovely piece on SF legend Ursula K. Le Guin. Potter fans rejoice: we're getting a new short story from J.K. Rowling on Halloween featuring Dolores Umbridge. Finally, the Guardian rounds up the best children's books about ducks.